I have finally made the jump to the current generation of consoles! My Xbox One finally arrived yesterday and after setting it up I spent a good chunk of the day playing Titanfall. It's been a while since I got a new console. A year and a half ago I got a 360 slim but that technically wasn't really a new console since I already had a regular 360 that needed to be replaced. There's just something special about getting a brand new console that you've never played before! Admittedly the sense of wonder is not there as much now that I'm older than when I was a kid. I remember when I received an N64 back in the day. It was my first console ever and it was just so fascinating to me. The next new console after that was the GameCube which was my most exciting new console as I was still young enough to truly be amazed by it but had developed enough as a gamer to truly appreciate it. So back to today. So far I'm enjoying my Xbox One and Titanfall. I'm definitely looking forward to all the big releases this fall though. They are the main reason I made the jump in the first place. I'm most excited for Destiny in just a couple more weeks! It will be so much fun and it will hold me over until November when Dragon Age: Inquisition and Halo: The Master Chief Collection release. So what's up with you guys today? Any cool new console stories to tell? 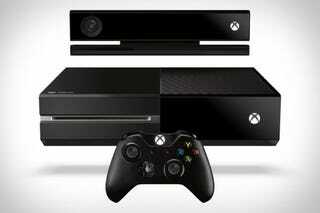 Are you planning to make the jump to the next generation of consoles? If so, which one(s) are you planning to get? Maybe you already made the jump? Which one(s) did you already get? And finally, which games are you most looking forward to this fall? Talk Amongst Yourselves about these questions or whatever!